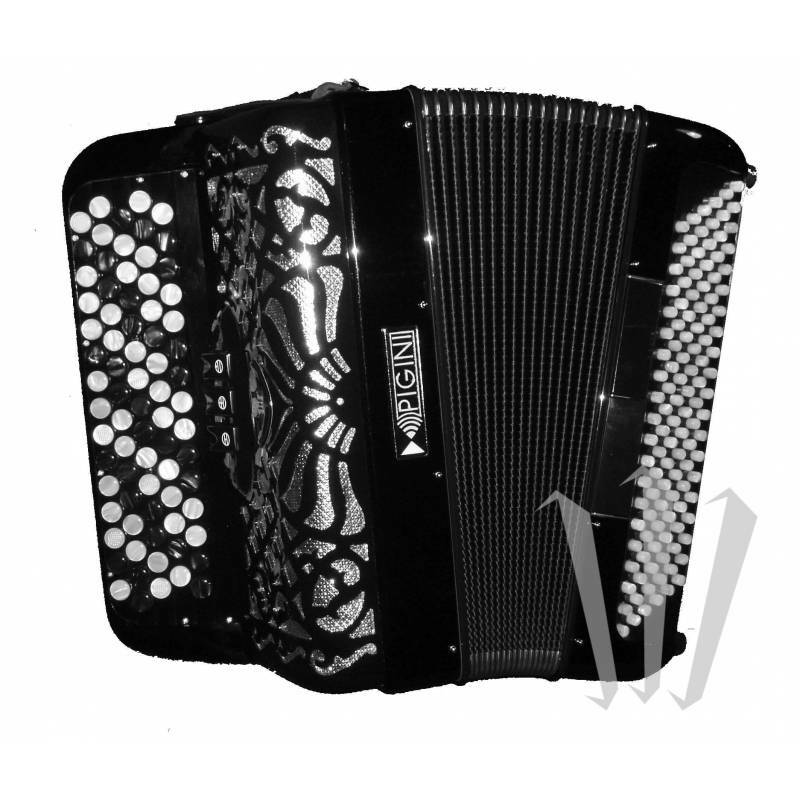 A lightweight and accessible 120-bass chromatic button accordion with 2 right-hand voices. Also available with a 96-bass left-hand manual. Particularly appreciated by musicians who seek a light, yet powerful instrument for roaming performances or to accompany a singer. 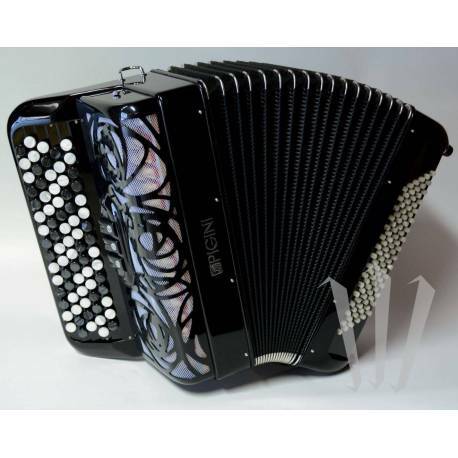 A lightweight and accessible 120-bass chromatic button accordion with 2 right-hand voices. Also available with a 96-bass left-hand manual (same price).